When they meet again, each will have changed, having struggled through the Depression, through what they have done to fill the absence of the other. But their childhood vision remains - a dream to storm the world, a spectacle, an extravaganza that will lift them out of the gutter and onto a glittering stage. Heather O'Neill's pyrotechnical imagination and language are like no other. In this she has crafted a dazzling circus of a novel that takes us from the underbellies of war-time Montreal and Prohibition New York, to a theatre of magic where anything is possible - where an orphan girl can rule the world, and a ruined innocence can be redeemed. Heather O'Neill is a novelist, poet, short-story writer, screenwriter, and essayist. Lullabies for Little Criminals, her debut novel, was published in 2007 to international critical acclaim and was shortlisted for the Orange Prize for Fiction. Her second novel, The Girl who was Saturday Night, was longlisted for the Baileys Women's Fiction Prize, and shortlisted for the Giller Prize, as was her collection of short stories, Daydreams of Angels. 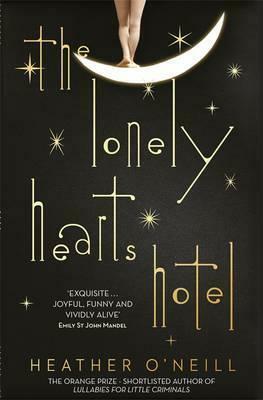 Her third novel, The Lonely Hearts Hotel was longlisted for the Baileys prize. Born and raised in Montreal, O'Neill lives there today with her daughter.